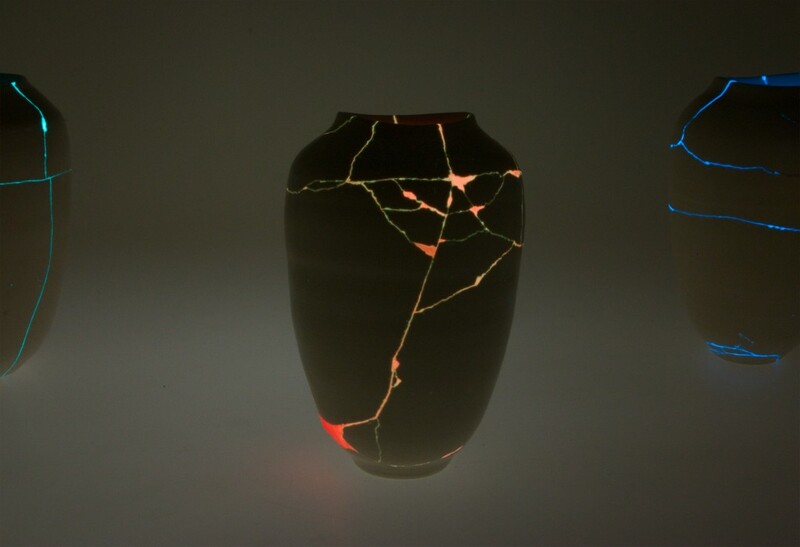 With Kylo’s mask being reconstructed with some form of “red crystalline glue” for Star Wars: The Rise of Skywalker, could this be related to the Japanese philosophy of Kintsugi: The Art of Precious Scars, where they reconstruct broken crockery by putting a lacquer mixed with gold on the breakage? 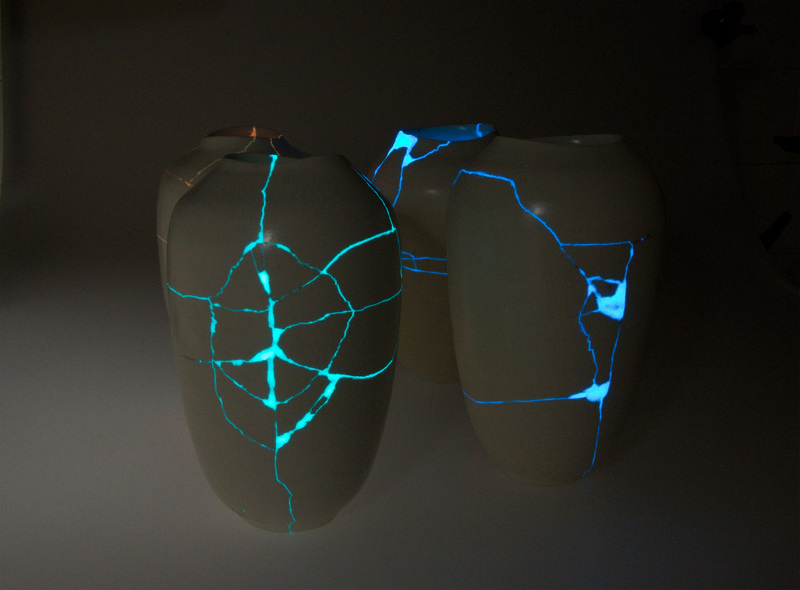 Kintsugi relates to the Japanese philosophy of “no mind”, which encompasses the concepts of non-attachment, acceptance of change, and fate as aspects of human life. So that we can learn from negative experiences, let the wounds leave a mark on us and take the best from them, convince ourselves that exactly these experiences make each person unique, precious. Taking that as a basis can we speculate on how that philosophy could apply to Kylo and also Rey reforging the Skywalker lightsaber and how those things end up being related to the story. One of the key messages from The Last Jedi was about failure and its implications, and how we should not hide them, talking about it along with the good things. Taking the breakage as a failure, we can try to trace what the reconstruction of the broke artefacts can mean in Episode IX. 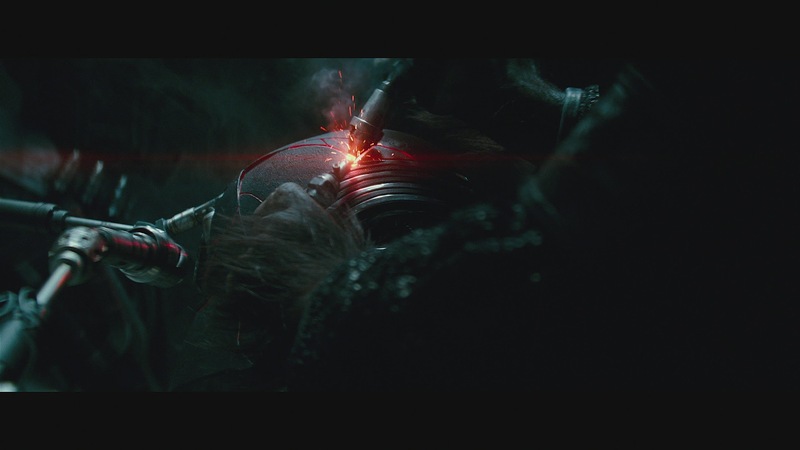 Is it possible with Kylo repairing his helmet, it will give him a new lease of life and become even more powerful thanks to its “scars”. 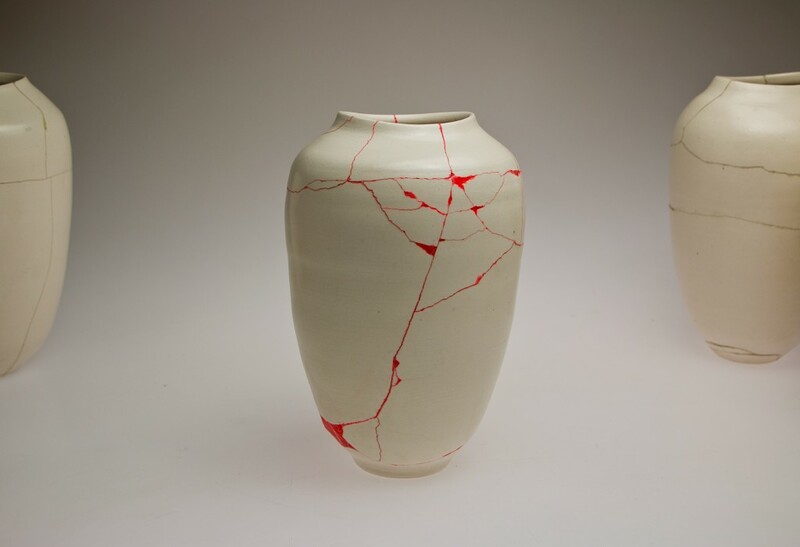 The Japanese art of Kintsugi teaches that broken objects are not something to hide but to display with pride, as Kintsugi belongs to the Zen philosophy of wabi-sabi, embrace the broken and flawed. Kylo says in The Force Awakens he feels the pull to the light, and that he wants to see again the power of darkness. Referenced in The Visual Dictionary it says “As his power rises, it eclipses his past life leaving the young man isolated, Kylo Ren aspires to build immunity to the light side…to succeed where Darth Vader and his sentimentalism once failed”, bring us back to the fact he sees Vader’s atonement as a failure. With Kylo Ren in The Last Jedi, we clearly see how he apparently wasn’t fully immune to that “maudlinism“, since his conversations with Rey in the Supremacy’s throne room and how he killed Snoke and protected Rey from the Praetorian Guards, yet later we also see him revealing himself as the new Supreme Leader, pleading with Rey to join him at the expense of the Resistance and the Light Side. So if we apply the Kintsugi philosophy to Kylo and the reforging of his mask, we can expect him stronger in the Dark Side than ever before, eager to “finish what Vader started”, using the broken mask as a reminder of where he failed, from his certain point of view. With the reconstruction of Skywalker lightsaber, can it mean an acceptance of the failures of the Jedi, and mean the regeneration of the Jedi Order as a whole, and the learnings that come with the failures the Jedi have committed in the past. Now with Rey being the last Jedi alive, the reconstruction of her lightsaber can mean acceptance of those failures and discover and reaffirm what the non-attachment rule, don’t be attached to the power of the Force or trying to command it, just letting it flow through you. If we speculate and look at it through the theory that Rey is, in fact, a Skywalker, this could have a much bigger meaning, since reforging hereditary weapons are a common analogy that comes with the acceptance of the failures of her own family. Reforging the Skywalker Lightsaber could represent Rey’s acceptance of Luke’s failures, his absence and not being what she needed him to be. Luke could also come to terms with his own failures, following on from his conversation with Yoda, it could also combine the acceptance of change and fate aspects of the philosophy for Rey, since she would have to cope with the burden of being a Skywalker, a burden Luke didn’t want her having to carry, but it would be her fate, and this could finally finish with a great force ghost father-daughter reconciliation scene, just like the ending to Return of the Jedi. But regardless of whether she’s a Skywalker or not, overall this could be a great final Skywalker Saga setup, Kylo wanting to be stronger than Vader, but Rey will certainly be stronger than Luke, as he’s passed on all that he knows, and a thousand generations of Jedi now live inside her. So, reforging the Skywalker lightsaber is the symbolism of a journey to restore a broken family’s story since Anakin, yet Kylo’s reconstruction of the helmet is a Kintsugi reminder of his failure.